arol Goliński, the AUDIOPHASE owner and constructor, has so far been dealing with two aspects of audio: the construction of loudspeakers and AC power cables, and he has been really good at both. Based on the current company offer presented on the AudioPhase website, one can assume that market conditions have forced Mr Goliński to specialize in cables. Some time has passed since the Devil model, a quite inexpensive, fantastic AC power cable, was tested in “High Fidelity” and the AudioPhase offer now includes as many as four cables of this type: the Devil (1,700 PLN for 1.5 m), Hapur (2,995 PLN for 1.8 m), the top-of-the-range F1 (4,995 PLN for 2 m) and the latest Fountainhead model that was not yet presented on the company website at the time of this test. 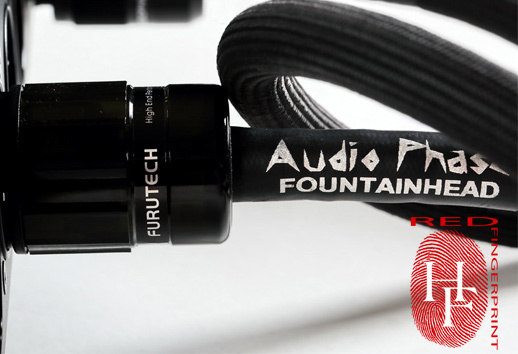 The Fountainhead is a cable that has been designed, from the very beginning, with the thought of supplying power to signal sources and preamplifiers. Before taking on its final form, the product had undergone multiple tests with different plugs and topologies. I wanted to construct a cable that would be deprived of its own character and would not dominate the system – one that would be transparent and capable of extracting the most good out of the electronics that it supplies power to. The cable’s conductor is single-crystal UP-OCC copper and the cross-section of each conductor is 2.08 mm2. I wanted to dampen external interference as effectively as possible, so I used four types of screens. I have also taken care of dampening the cable’s natural vibration. Its design is based on a cotton core and all materials used for production have anti-static properties. As regards the end of the cable connected to an electrical outlet, the selected plug model is Furutech FI-38 (R), while the IEC is a plug created specially for the cable, i.e. the AudioPhase RHODIUM model. It is based on the high purity of copper which is polished, gold-plated and then rhodium-plated. Inside the plug there is a mixture of piezoelectric minerals whose role is to turn vibrations into heat. 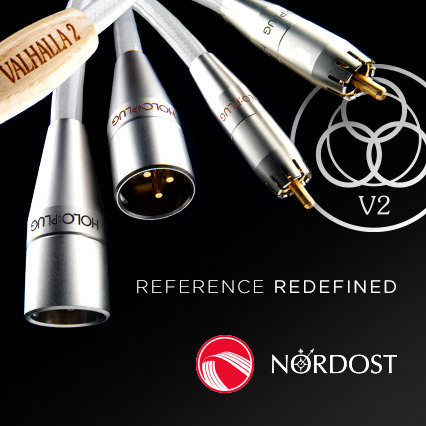 The Fountainhead is a cable designed to supply power to devices characterized by low power consumption – preamplifiers and CD, BD and file players. If you know our blood-red Devil model, the Fountainhead may not look too interesting – its outer coating is ordinary black braid. The cable is sent to clients in a simple cardboard box, packed in a little black bag. The conductors are made of UP-OCC copper. The Ultra-Pure, Ohno Continuous Casting is a process of manufacturing wires that was patented in Japan and has become very popular in the audio industry. Instead of classic heat wire-drawing, casting is applied. It makes it possible to obtain long crystals of high purity (6N) – hence the frequently used name: “single-crystal copper”. The screens that Karol mentions are copper braids and foil. 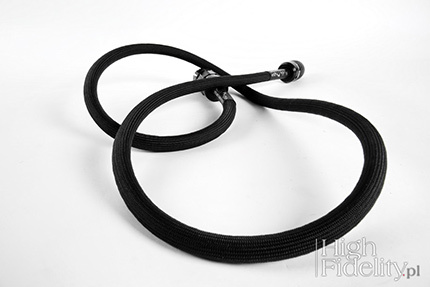 The Fountainhead is flexible, has nicely-looking plugs at its ends and its shape can be easily adjusted. 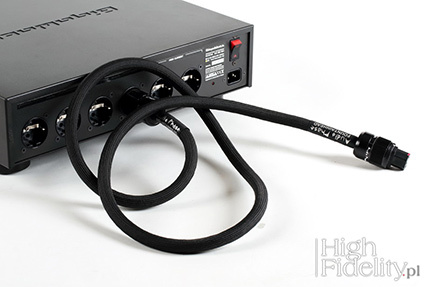 As for the end of the cable connected to the supplied device, there is a plug designed for AudioPhase, resembling the Wattgate, while the plug at the other end of the cable, connected to an electrical outlet or a power strip, is the rhodium-plated Furutech FI-E38(R). The contacts of the plug which costs almost 600 PLN are made of rhodium-plated OCC copper subjected to the α (Alpha) process. The front of the plug is made of nylon and contains carbon molecules which reduce vibrations and, thus, also mechanical noise; the back is made of polycarbonate. The Fountainhead power cable was listened to in our reference system where it supplied power to the Ayon Audio CD-35 HF Edition player. The listening session consisted in A/B/A and B/A/B comparisons, where ‘A’ was the reference cable and ‘B’ – the tested one. Our point of reference was the Siltech Triple Crown Power power cable (56,900 PLN/1.5 m). Both cables were connected to the Acoustic Revive RTP-4eu Ultimate power strip. The power strip is plugged into a wall socket using a 2-metre Acrolink Mexcel 7N-PC9500 power cable. The system is powered from a separate line, going through the Oyaide Tunami cable to a dedicated fuse in the distribution box. On the system side, the line ends with three identical Furutech FT-SWS (R) wall sockets connected in parallel. I connected the Acrolink cable and the Acoustic Revive power strip to one of them. 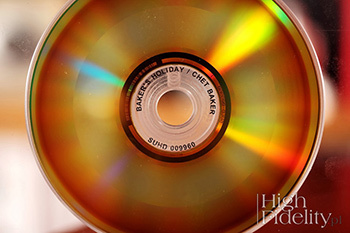 The Bassface Swing Trio album was recorded using the direct-to-disc technology, directly onto a copper DMM disc, which was then used to make masters to press a vinyl disc. It means that there was no intermediary either in the form of analogue tape (or, to make things clear, a digital medium). Simultaneously, the same signal was also recorded in the DSD format, thanks to which the music sounds very dynamic and open. That is why it was the first album that I listened to while testing the new AudioPhase cable. The Fountainhead effortlessly showed what I wrote about earlier – it is an incredibly dynamic recording. After I replaced the Siltech cable with the tested one, the musical message changed, which is probably clear, but it was not a painful experience, despite an enormous difference in price. What changed was not so much sound quality, but it was a different way of sound presentation. Resolution, selectivity, colours – it all was not as good as in the reference cable, but I had not expected anything else, it was normal. Something else was more important, however: despite the change, the essential elements of the musical message were preserved, i.e. its unity, volubility and dynamics. The Fountainhead moves the perspective further away, at the same time shifting our attention to the foreground situated a little behind the line of loudspeaker base. In this way, music breathes in more air and one gets the impression of larger space – by moving perspective further away, we get some kind of a broader look, at the cost of reduced tangibility, as it is not “here and now” sound. So, instruments have a more rounded and softer contour, as they are not presented close to us, but at a larger distance. I know that a lot of music lovers prefer the kind of presentation and the kind of perspective shown by the AudioPhase cable, as it moves all the sound further away from us, deep into the stage, thus freeing it from “frames” that loudspeakers put music into. So, if you are looking for the effect of detaching sound from loudspeakers, the tested cable will help you achieve that. It will also help you model the tone colour. It is because it is pastel and a bit dark, as it smoothens the attack of the treble a little. Generally speaking, it is sound without sharp edges and it is not “angular”. In this way, the cable calms the musical message a little and leads us towards pleasure, encouraging us to have long listening sessions due to its character. It will be heard with each kind of material, but it was the most audible when it came to vocals – Chet Baker from Baker’s Holiday was situated around half a metre behind the line which connects the loudspeakers. What is important, its large volume was preserved and the vocal was solid and meaty. I think that the midrange, especially its lower part, usually filtered by dry-sounding cables and damaged by badly positioned devices and loudspeakers, will gain the most with this cable. Baker’s vocal is set low in recordings from this album and if the range discussed is not suitably presented, the vocal becomes smaller and less effective. The AudioPhase cable maintained its volume and did not move it back. On top of that, the cable gave the whole material its own individual character, i.e. emphasised the vocal, which I have just mentioned.